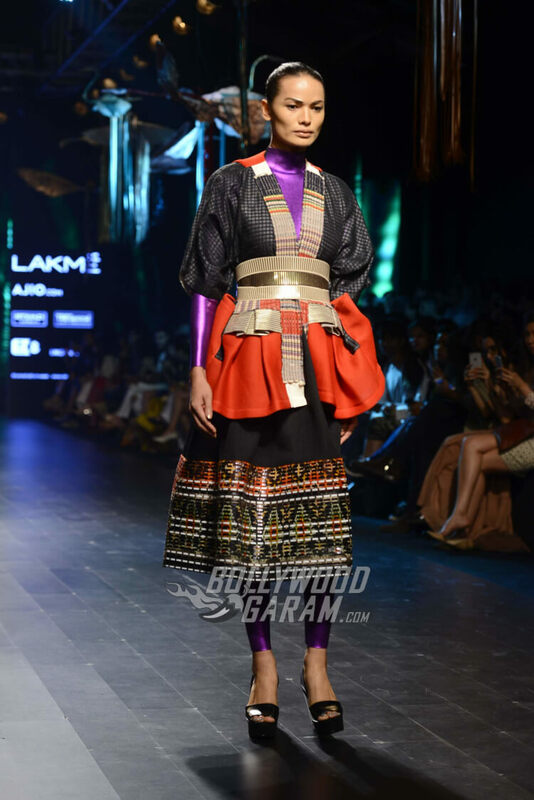 Lakme Fashion Week Summer/Resort 2017 Style Report is Here! 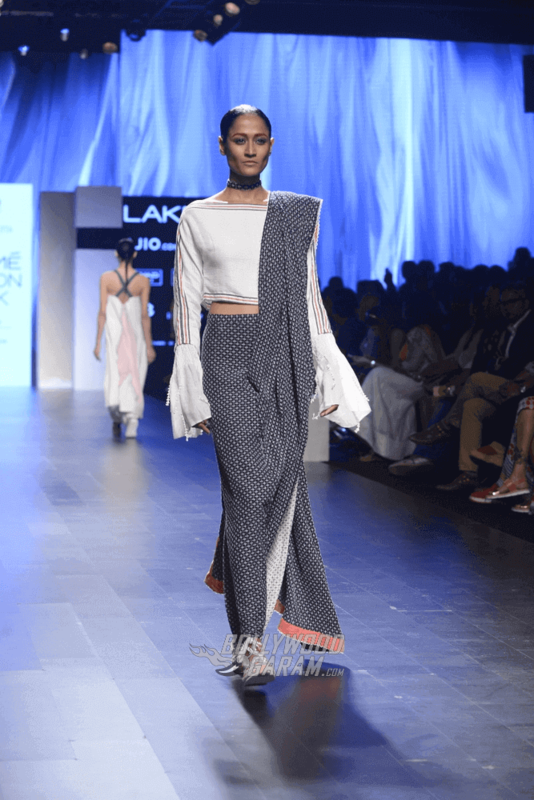 Home Events Lakme Fashion Week Summer/Resort 2017 Style Report is Here! 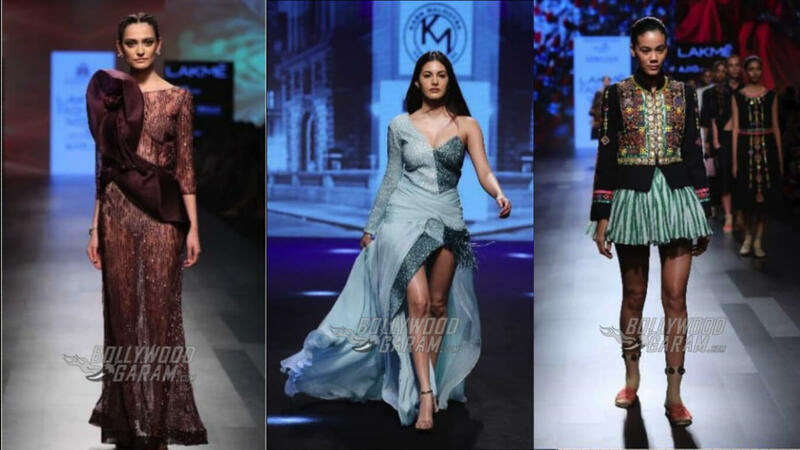 This LFW S/R 2017 was a blast with the hottest Bollywood stars walking the ramp for designers. 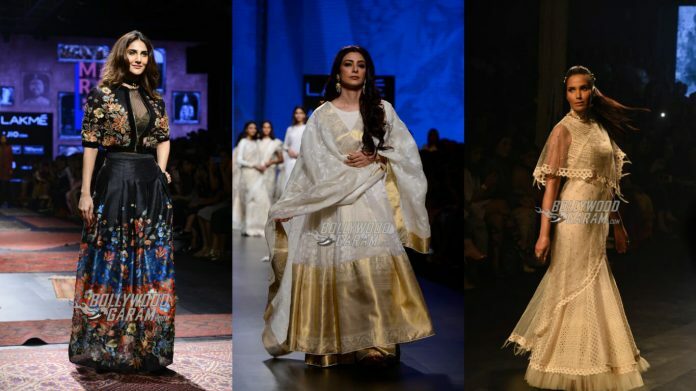 From Karisma Kapoor’s killer twirl and shimmy to sister Kareena’s walk at the Lakme Fashion Week Summer/Resort 2017 Grand Finale – we loved it all! And how can we not mention Sonakshi Sinha’s stunning look at the opening show of LFW S/R 2017 on a cruiser liner and then again on Day 1, as she showed support for some of her favorite designers – Amit Aggarwal and Kunal Rawal. 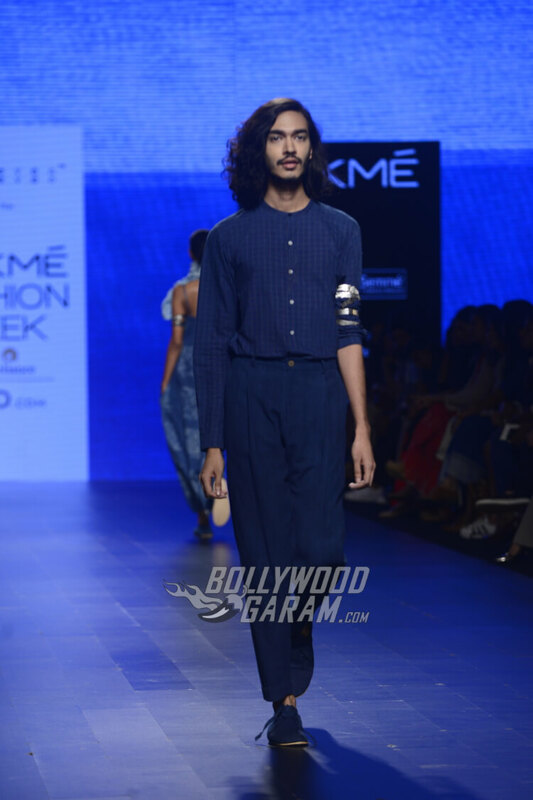 Check out Varun Dhawan, Arjun Kapoor, Prateik Babbar, Mohit Marwah for Kunal Rawal at LFW S/R 2017! 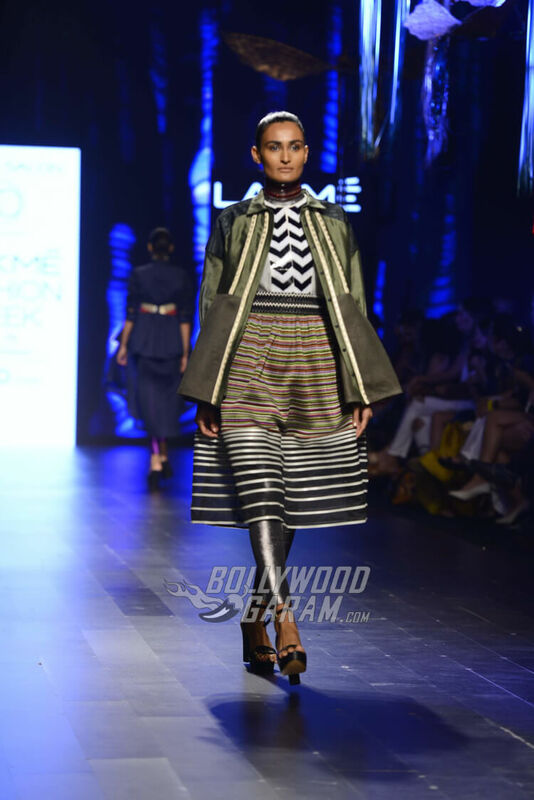 It was definitely the biggest fashion fiesta of the year and we have the complete Trend Report from Lakme Fashion Week Summer/Resort 2017. Read on! 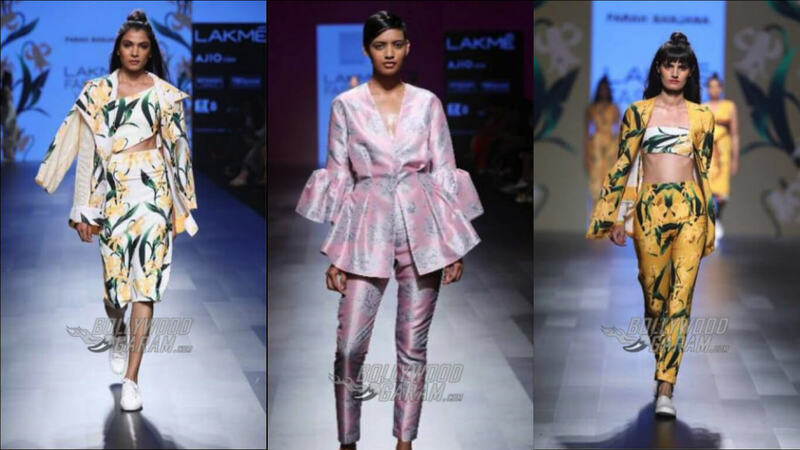 This season of Lakme Fashion Week S/R 2017 designers Sailesh Singhania and Vineet-Rahul brought along a whole lot of drama in sleeves with ruffles, billows and lacy trims, especially in the GenNext show. From capped to bell-shaped, fancy sleeves are the latest trends! 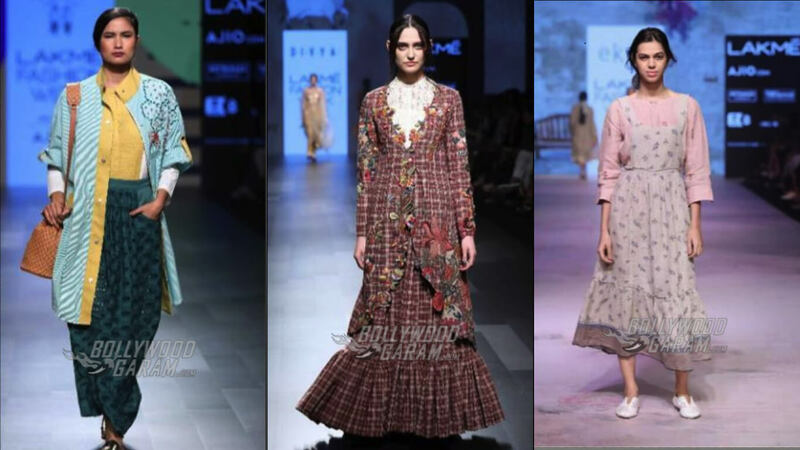 LFW S/R 2017 Trend 2 – Frills are in! 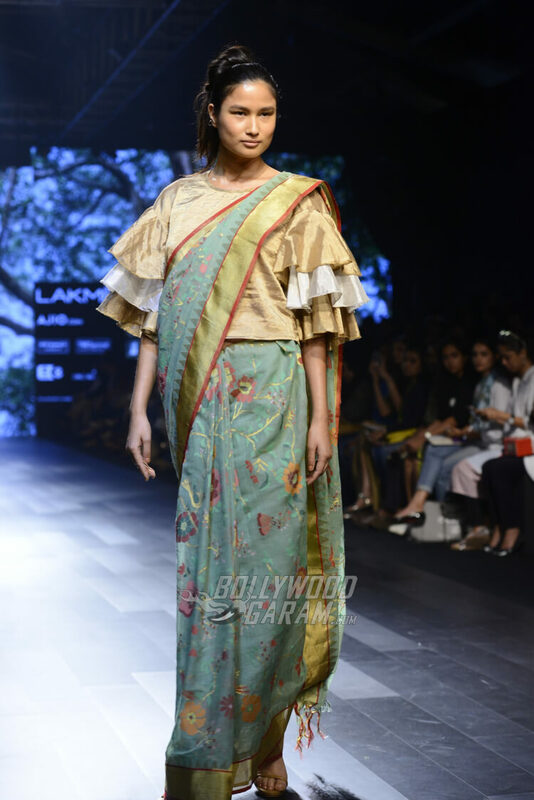 Designers KA-SHA and Jayanti Reddy got playful with their clothing line as they introduced frills and ruffles to sari borders and blouses, as a part of their LFW S/R 2017 Collections. Beaded borders, draped silhouettes, glittery blouses and cocktail attire were heavily present at this season of LFW S/R 17 as a part of several designers’ collections. 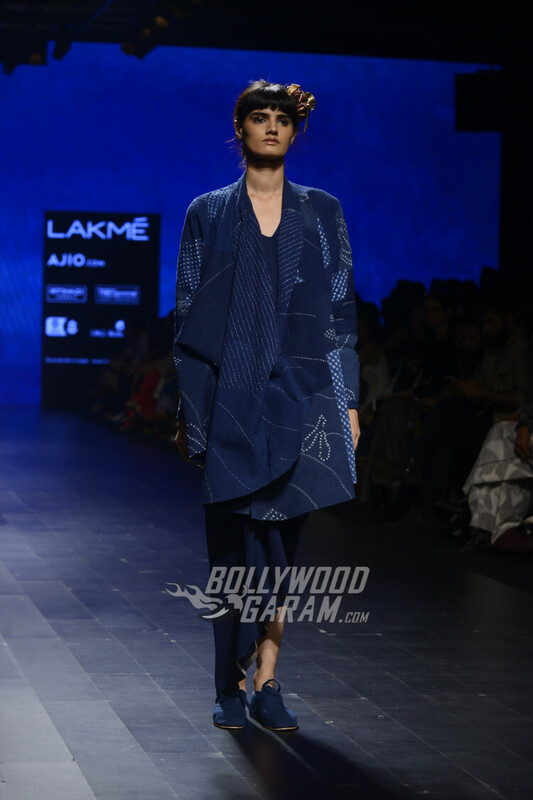 Designers like Eleven-Eleven, Abraham & Thakore, Chaman Siju from Artisans of Kutch and Rajesh Pratap Singh ensured that some funk was added to the handloom as well. 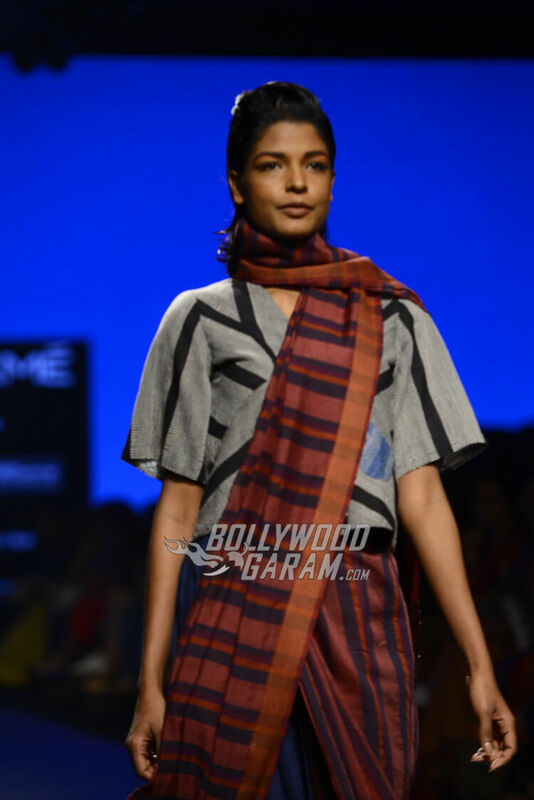 Organic cotton, handwoven, natural-dyed materials in indigo and white stripes were worn with dramatic, creative blouses with stylish fabric detailing and cold-shoulder silhouettes. 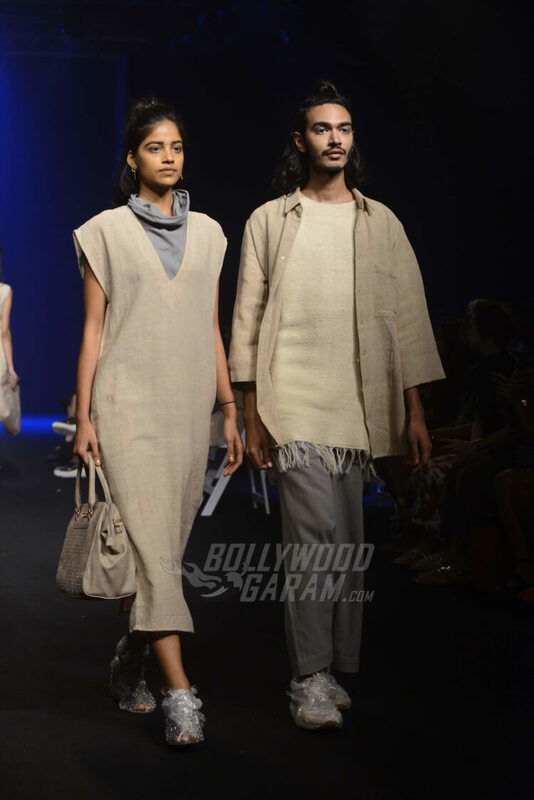 LFW S/R 2017 Trend 5 – Neutral Shades are the Latest! Roomy trousers, layering and a mix-and-match of opposite shades of neutrals make for a worldly character matter for a boys-to-men brigade. Light trenches and jackets were a favorite for all subtle summer hues this season. 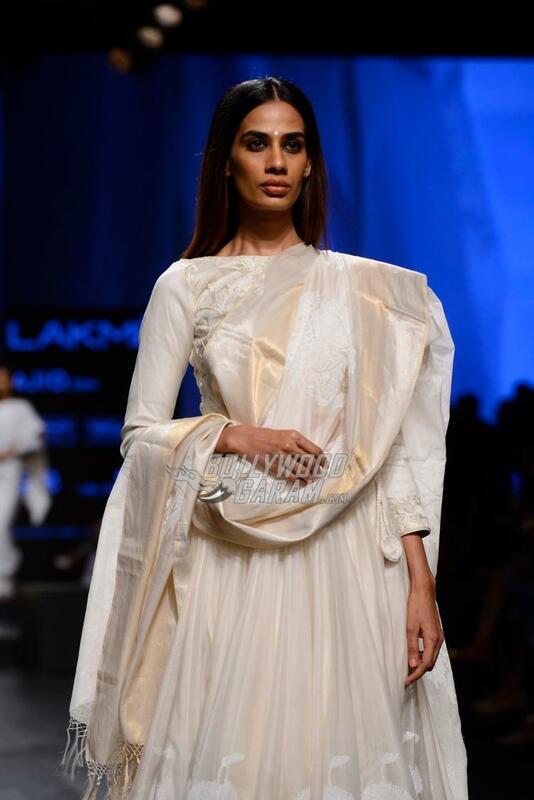 Designers like Galang Gabaan,Eleven-Eleven, Anuj Bhutani and Tarun Tahiliani played largely with neutral shades with their Lakme Fashion Week Summer/Resort 2017 Collections. 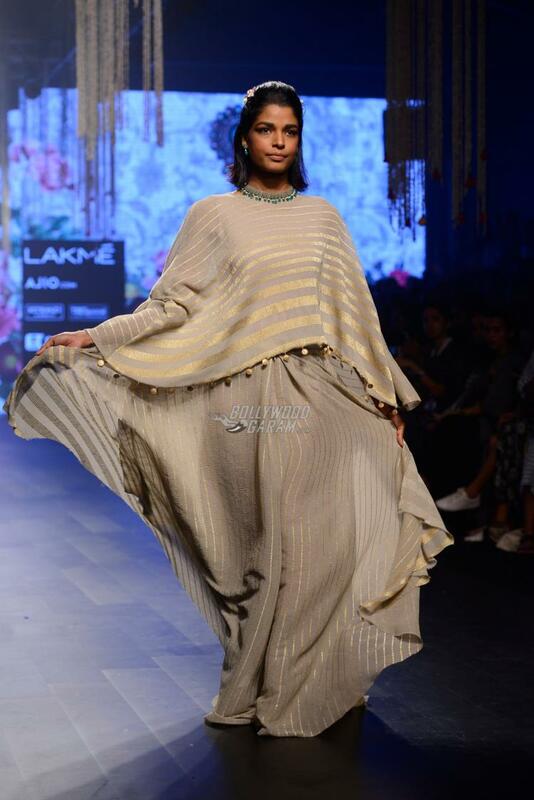 Designers like Tarun Tahiliani, Anushree Reddy and Poochki from the Gen Next show, used Fauna-inspired prints on sheer, muted fabrics to put a whimsical spin on airy silhouettes. Floral appliqués and stripes poured in by the dozens on trench coats, belted tunics and drawstring dresses. If you’ve been keeping a tab on the trends, you’d agree that metallic skirts and pants have been in the limelight on the runway. 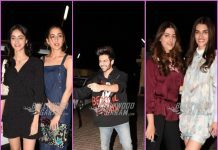 Shweta Kapoor, Ishita Mangal, Amit Aggarwal and others proved that metallic garments could still get the party started! 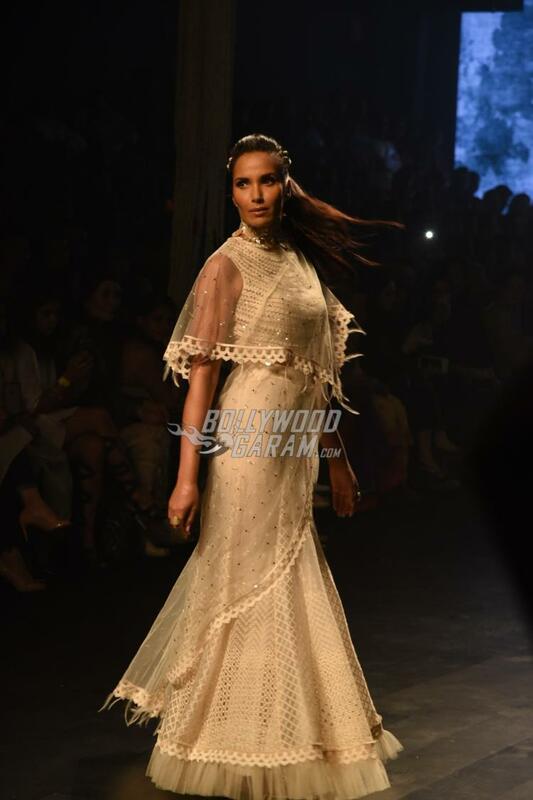 LFW S/R 2017 Trend 9 – Embellishments! 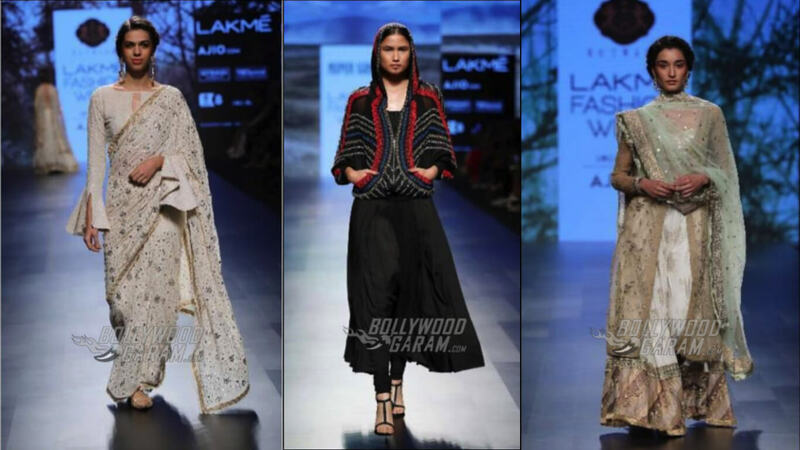 Embellishments played a major role throughout the showcases at Lakme Fashion Week Summer/Resort 2017. 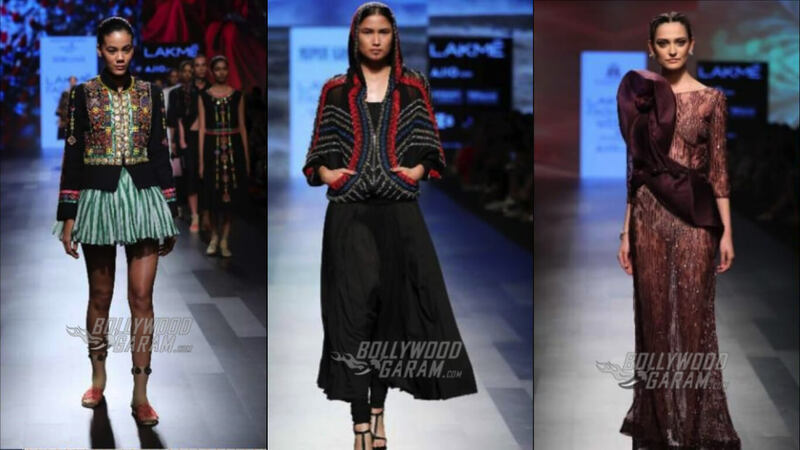 Designers also used intricate glass beadwork in vibrant tribal tones and metallic embellishments. 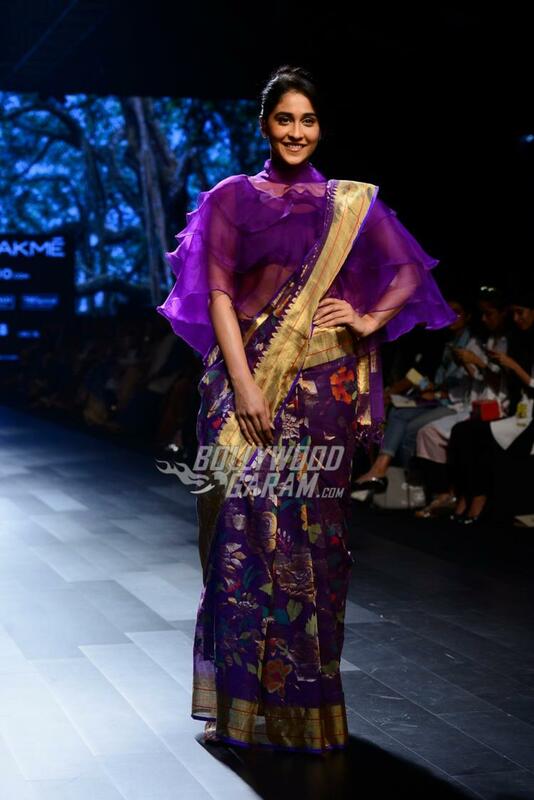 Saree’s took a center stage with new drape experimentations along with an absolutely unique approach to blouses. 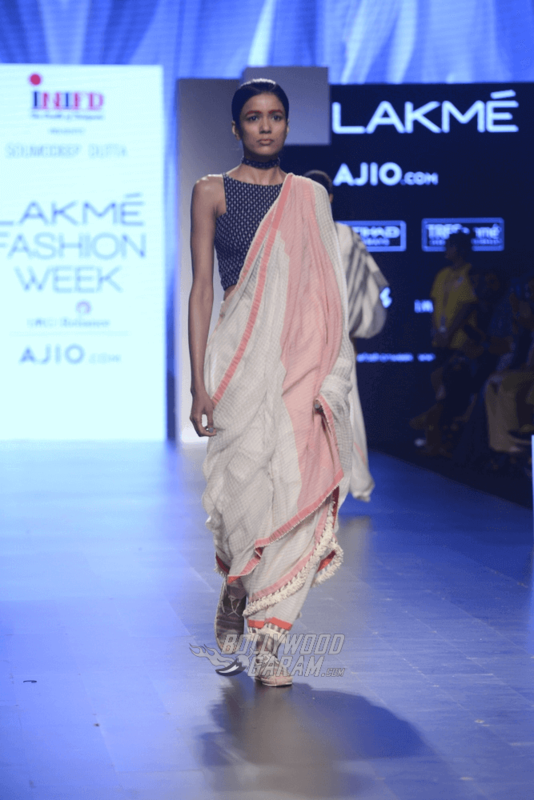 Collections like Indigene, Divya Sheth, I Was A Sari Project and GenNext designer Soumodeep Dutta made it possible to wear a saree with a whole new twist! Cutworks have been popular for decades. A typical Indian wear is incomplete without the cutwork masterpiece. 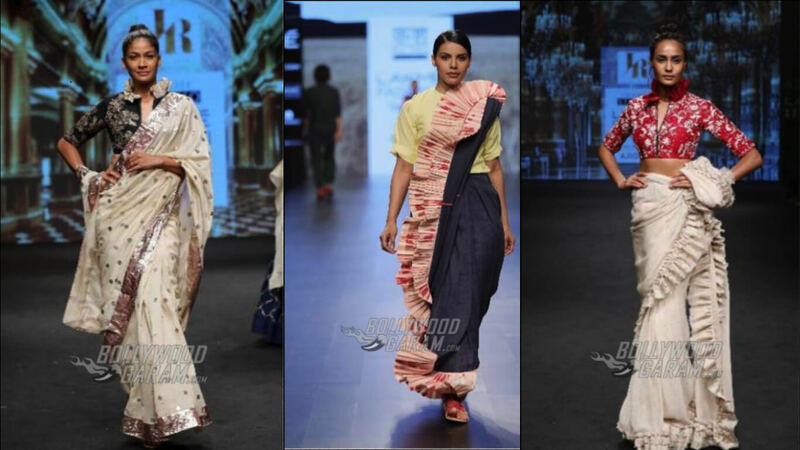 Rara Avis, Divya Sheth and Eka displayed cutworks which beautifully assimilated in modern styles. Inspired from the tropical beauties, this season designers like Farah Sanjana and Nishka Lulla have made printed jackets. 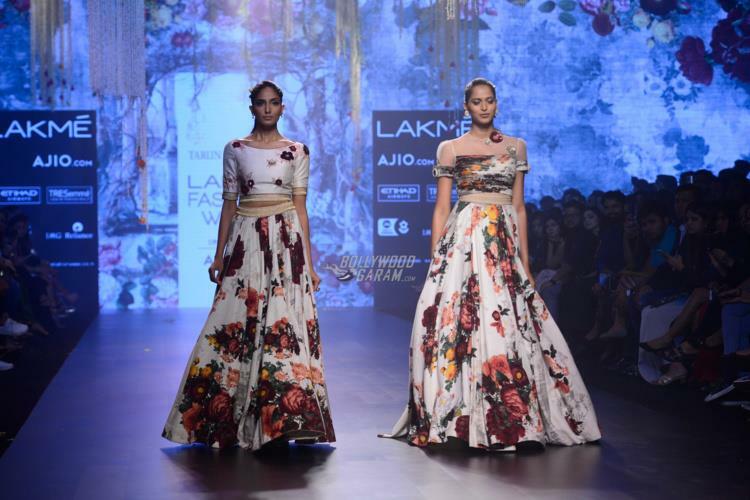 Botanical prints and florals in satin jackets looked flowy and sumptuous on the ramp. 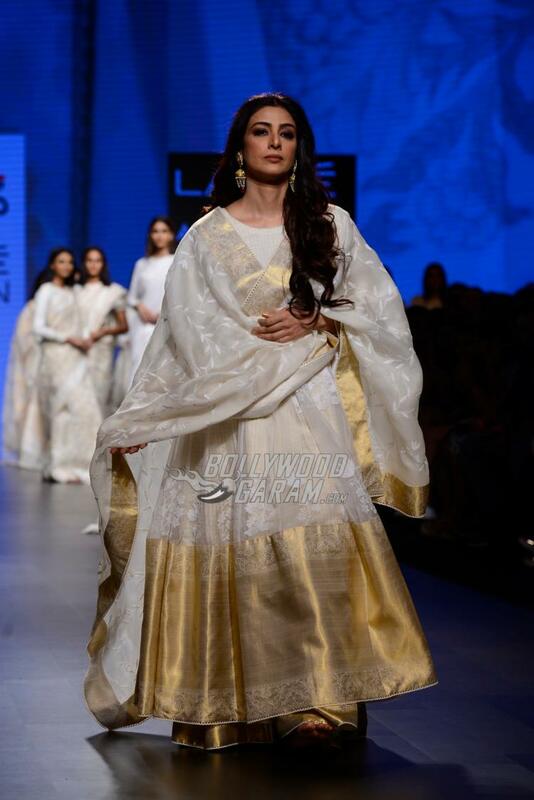 Embroidery increasingly features on the international runways. Keeping with the trend, Kotwara, Nupur Kanoi, Amit GT, Shrujan from Artisans of Kutch showcased fabulous bead and mirror work, adornments and zardozi to make the outfits stand out and how! Previous articleRevealed! Covers of Harper's Bazaar Bride February Editions featuring Jacqueline, Kangana and Shahid!